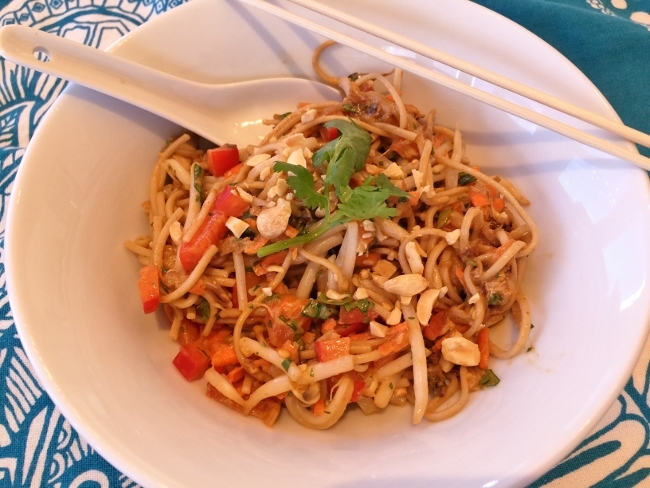 Soba Noodles, Chicken & Eggplant Salad with Thai Peanut Dressing - Recipe! - Live. Love. Laugh. Food. 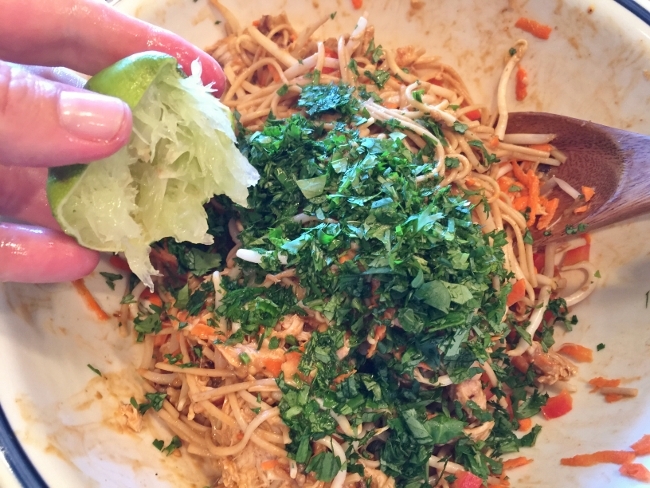 Soba Noodles, Chicken & Eggplant Salad with Thai Peanut Dressing – Recipe! 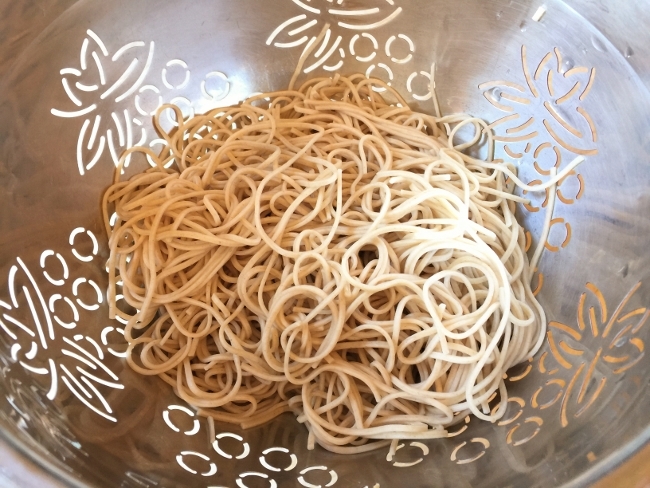 Soba Noodles are a buckwheat pasta, which are from the rhubarb and sorrel family and despite the name, not related to wheat. I like to cook with soba noodles for a few reasons; the earthy taste and the quick cooking time. Soba Noodles are boiled in 4 minutes and have great texture and flavor, which pairs nicely with Asian inspired sauces. In this recipe, I saute julienned or matchstick cut, eggplant and toss in some rotisserie store-bought chicken breasts, along with shredded carrots and diced red bell pepper for a fresh, but hearty salad. 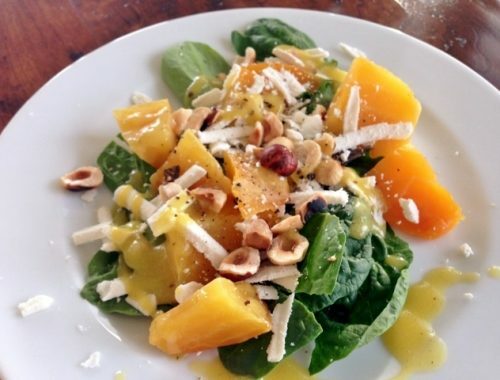 The Thai Peanut Dressing, adds a tangy kick and sends this salad to a whole other level. You can prepare this Soba Noodles, Chicken & Eggplant Salad with Thai Peanut Dressing, a day ahead and store in the refrigerator. 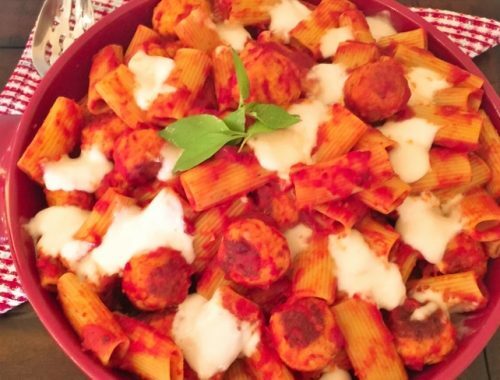 This is great recipe to prepare for a few days of delicious work lunches or on the weekend, for a fun gathering or party. 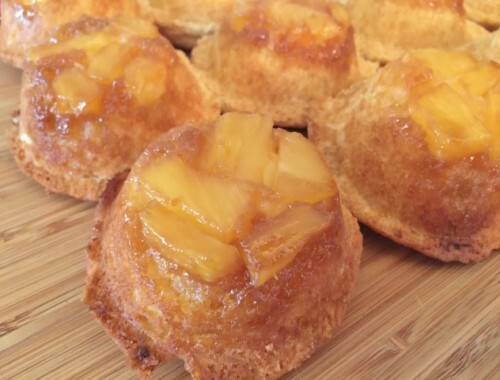 You can serve this cold or at room temperature and it makes a great pot luck dish to share. 1. Boil the Soba noodles for 4 minutes, drain and rinse with cold water. 2. Cut the skin off the eggplant and slice in half and then in half again. 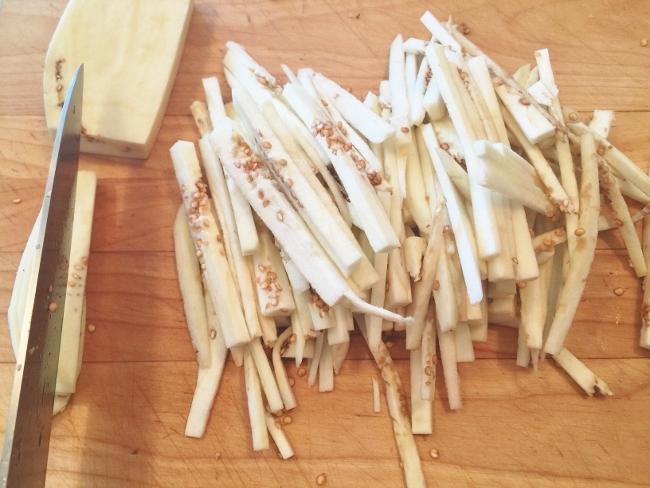 Slice each quarter into 1/4 inch thick slices and then julienne the slices. 3. 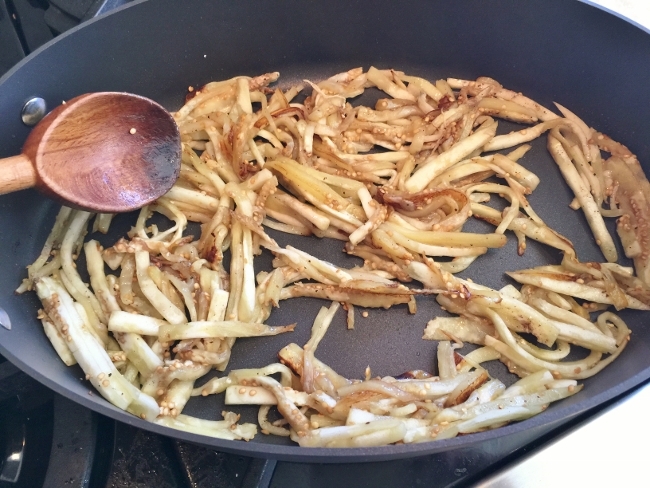 Drizzle 1/4 cup olive oil into a saute pan and place over medium high heat. 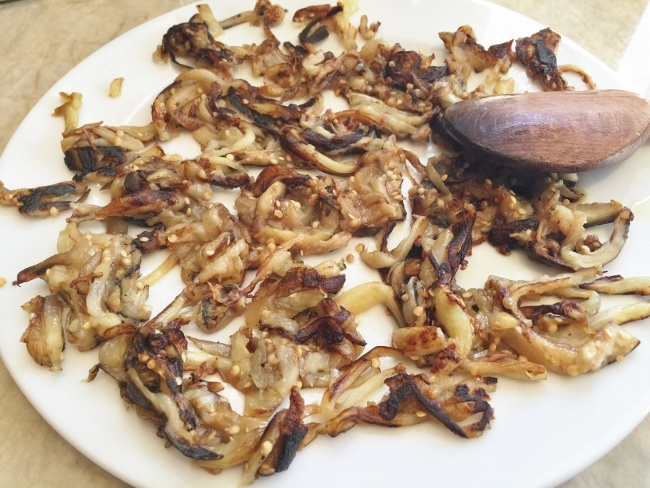 Add the julienned eggplant and saute for 7-9 minutes, or until dark golden brown. Place on a plate to cool, while you prepare the salad. 4. 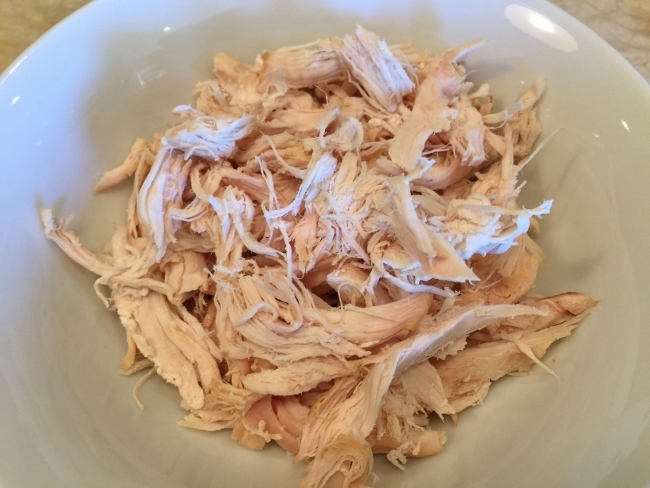 Shred the chicken and set aside. 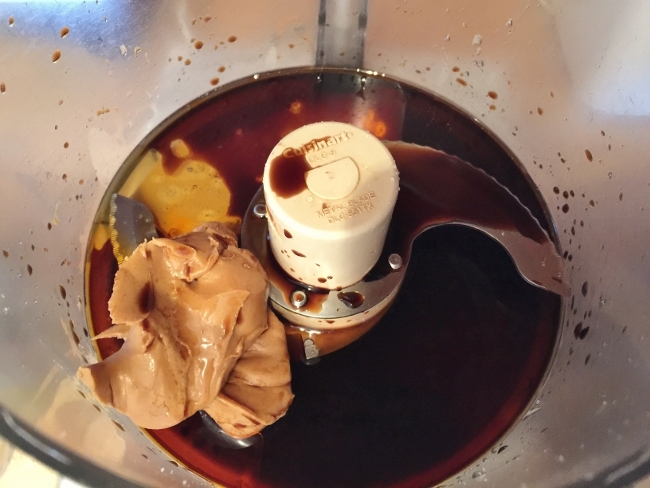 In a food processor or blender, add all the dressing ingredients and puree, until smooth. 5. 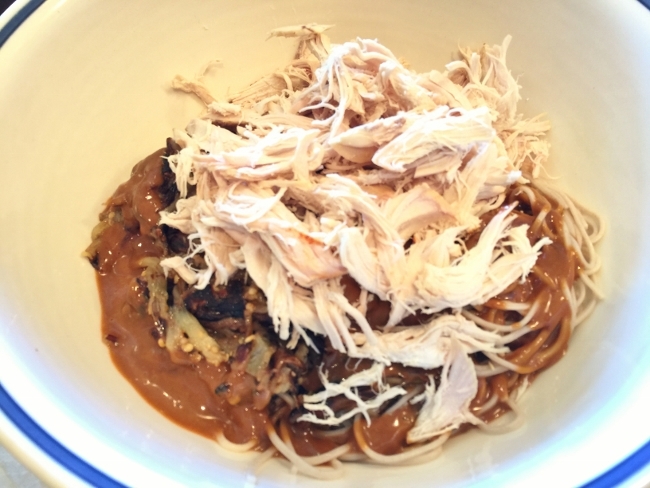 In a large bowl, add the Soba noodles, eggplant and chicken. Pour the dressing over the top and toss gently. 6. 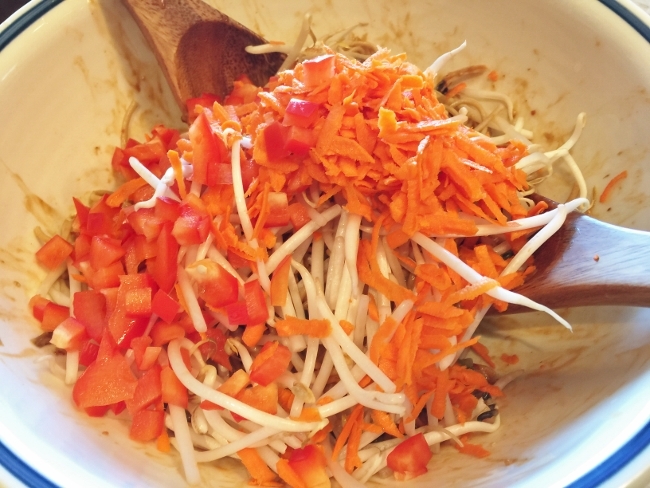 Then, add the bell pepper, carrots and bean sprouts. 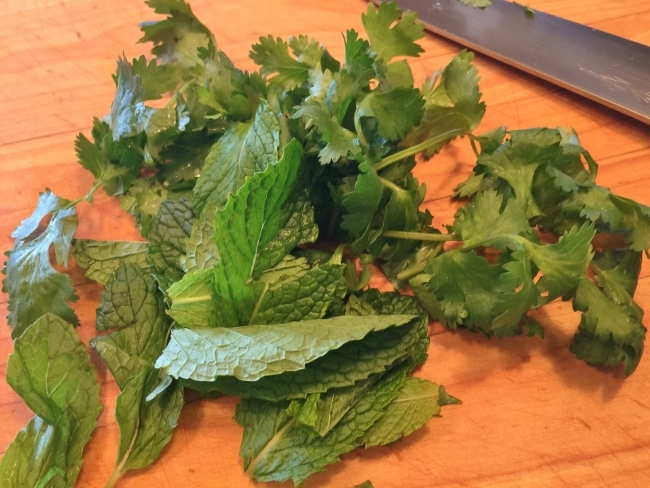 Chop the herbs finely and add them to the salad. 7. Squeeze in the juice of 1 lime and toss to combine the flavors. Serve in bowls with a sprinkling of chopped peanuts on top. Enjoy!